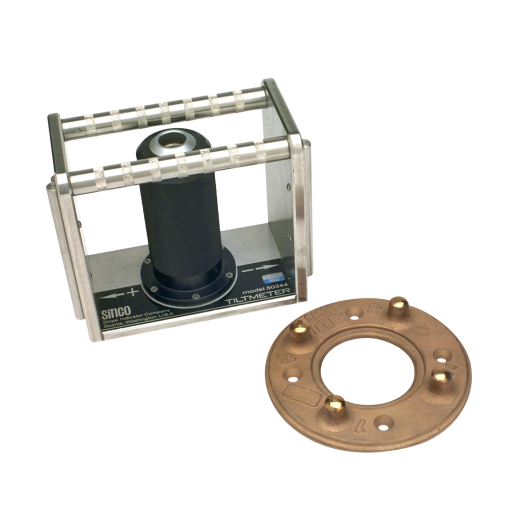 The MEMS tiltmeter measures tilt over a range of ±10° from vertical and is available in uniaxial and biaxial versions. Signal conditioning makes the tiltmeter compatible with most data loggers. 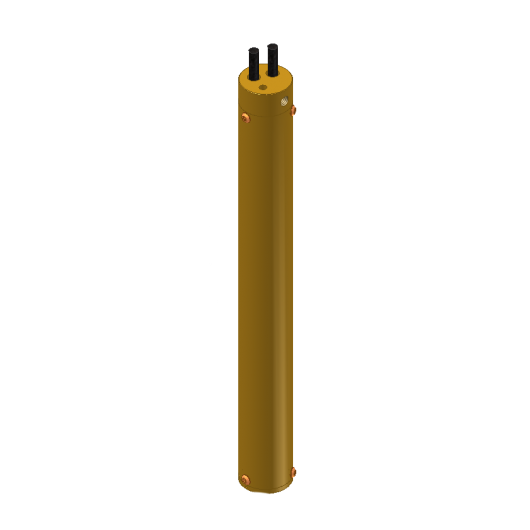 The tiltmeter is fixed to the structure via an angle bracket that can be welded to steel or bolted to an anchor set into concrete or rock. 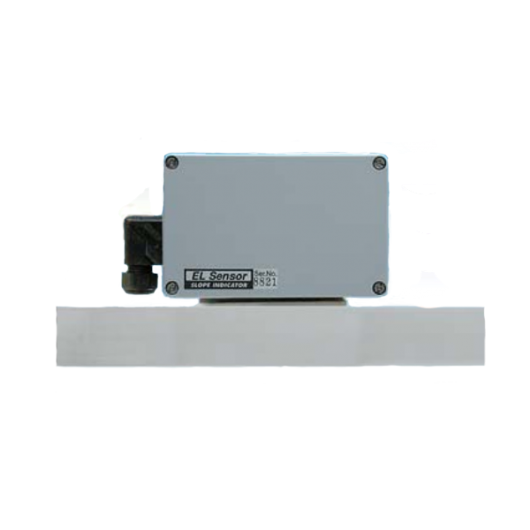 Because the tiltmeter has a relatively wide range, careful zeroing of the sensor is not required. Readings are obtained with a data logger or a portable readout. The initial reading is used as a baseline. Changes in the inclination of the structure are found by comparing current readings to the initial. 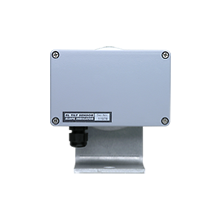 Mounts Anywhere: The tiltmeter is supplied with a bracket that can be welded to steel or bolted to anchors. Wide Range: The tiltmeter has a range of ±10°, so it can be installed without careful zeroing. 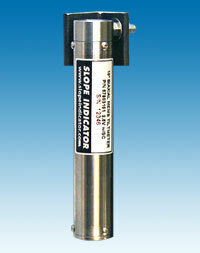 Uniaxial or Biaxial: The tiltmeter is available in uniaxial and biaxial versions. Waterproof: The tiltmeter can tolerate submersion. Suitable for Automatic Readings: The tiltmeter outputs a voltage signal that can be read by most data loggers. It can also be read manually with the EL/MEMS Data Recorder. Please download the datasheet and manual for the MEMS Tiltmeter. These documents can be viewed and printed with Adobe Acrobat Reader.